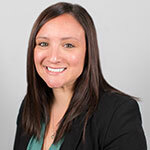 Tiffany has been with Friedman Williams since 2017 and recruiting within Information Technology for the past 10 years. Her favorite part of recruiting is providing top talent to clients and helping IT professionals find jobs they love. Outside of work, Tiffany loves to spend time with family and friends, relax on the Jersey shore or Duck NC, and paddle board on Baylor’s Lake.